"The person who risks nothing, does nothing, has nothing"
" Motorsport, at least at the top level , is seen today as something largely out of reach for the ordinary guy " says Greg Mills, the man behind Team Africa Le Mans.
" With faux leopard skin jackets and the large cheetah emblazoned on the bonnet of our Ginetta G55 racecar to highlight Motorsport SA’s anti-poaching cause, we, similarly, “talked African”. And, largely, we were. 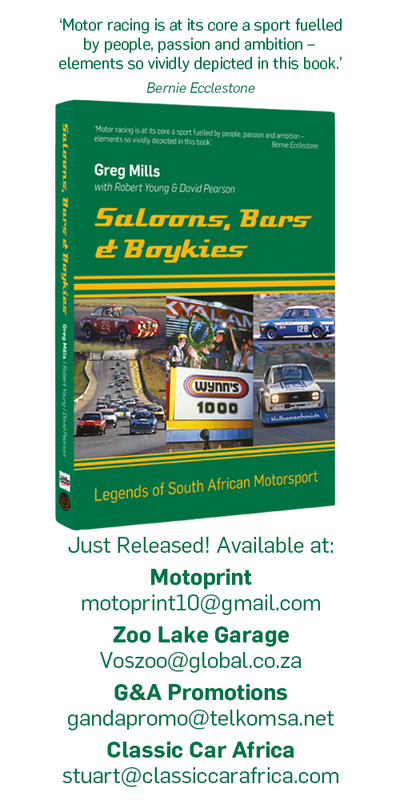 Gathered in the paddock of the Paul Ricard race-track in the south of France on the weekend of 16-17 July 2016 were seventeen South Africans, two Kenyans, three Brits and a Dutchman making up Team Africa Le Mans. Out of solidarity with our home base, we carried decals for the Gauteng Growth and Development Agency." "David Horsey, 61, got into rallying in Kenya as a navigator for his brother. 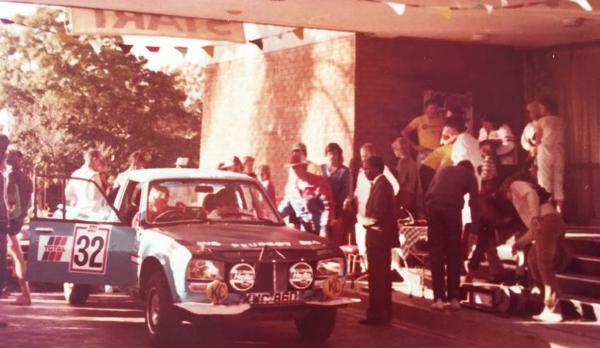 He soon shifted to the driver’s seat, finishing runner-up in the Kenya championship in 1983 in a Datsun 1300 bakkie, and winner of the African championship the following year in a Peugeot 504 bakkie. The top of the Anwar in his Mombasa dining-room is piled today full of Safari trophies. Greg Mills found out more." "US Army General Omar Bradley famously said “Amateurs study strategy; professionals study logistics”. He’s absolutely right. But that truism makes little room for the emotional motivation to do things, aside from simply the need to get them done. It certainly does not explain why people set difficult, voluntary goals for themselves. Dave Brabham is the youngest son of the three-time World Formula One champion, Jack, the tough-as-nails Aussie and the first and, so far, only driver to have won the championship in a car bearing his own name.
" The Team Africa Le Mans Ginetta G55 driven by South African racing legend Sarel van der Merwe, Le Mans 24-hour winner Jan Lammers and Dr Greg Mills finished first GT car home, second overall and won the Index of Performance in the South African Nine-Hour race at Killarney race track on Saturday 12 December 2015. This is their story. "